Gumpei Yokoi was probably one of the most important and influential people of the video game industry. His innovations changed the world of videogames as well as influenced a generation. His electronic inventions not only moved a card company into the lucrative world of videogames, they also helped to revolutionize an industry. Gumpei Yokoi was born in 1941 in the culturally rich Japanese city of Kyoto. Kyoto was a cultural landmark rather than an industrial city thus he was able to escape any trauma from World War II. He was born into a wealthy family; his father was the director of a Japanese Pharmaceutical company, which gave him a healthy start in life. Early in life he proved to be an intelligent and talented individual, he excelled in school and eventually went on to Engineering school. He attended Doshinsha University for Electrical Engineering and graduated in 1965. Soon after graduation he began his distinguished career with Nintendo. At this time Nintendo was simply a playing cards manufacturer, they were an aspiring company due to the popularity of their Hanafunda playing cards. They hired Gumpei to maintain assembly equipment for their playing cards. He soon prospered and became employed as the plant supervisor. When Gumpei was hired in 1965, Hiroshi Yamauchi also became president of Nintendo. These two changes in the staff would soon make the Nintendo Company larger than anyone could have imagined. 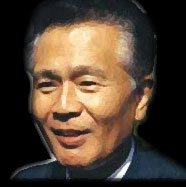 Hiroshi Yamauchi gave a challenge to Gumpei Yokoi, move the Nintendo game company into the toy market. His first product was known as the "Ultra Hand." It was composed of two 'hand' pieces that could be drawn together to pick things up. When it was released in 1970 the "Ultra Hand" sold almost one and a half million units. His next two products were also big hits in Japan, the "Ultra Machine" and the "Ultra Scope." Through out the 70's Gumpei Yokoi designed an array of products for the toy market. They eventually concentrated more and more on the electronic toys. Some of these products include "The Love Tester", Nintendo's beam gun games, and "Ele-Conga." With the success of video games like Pac-Man and Pong, Yamauchi decided that Nintendo's future lie in video games. Once again Yokoi was put to the challenge of taking the company in a new direction. While on the train Yokoi noticed the commuters playing with their calculators to pass the time, this gave Yokoi an idea. He was going to create a product that would rocket Nintendo's sales and send them into a lucrative industry. This product was the Game & Watch series, it was a game disguised as a watch. The Game & Watch was released in 1980 it marked a growth in sales for Nintendo and a new direction for the company. Later Yokoi was paired with a young prodigy software designer, Shigeru Miyamoto. The team created the smash hit Donkey Kong, Miyamoto created the game design and development and Yokoi created the hardware. Other notable characters that this team created were Metroid and Kid Icarus. With the success of the NES and the Game & Watch series Nintendo set out to conquer the hand held market. Yokoi created a console that continues to be Nintendo's most popular unit and put Yokoi's legacy into the history books. In 1989 Nintendo released the Game Boy. It was based on the Game & Watch series with the influences seen in the controls. The console played games that were cartridge based, and it had a black and green screen. Despite the fact that the Game Boy was inferior to other hand held counsels released at the time, it managed to dominate and out sell the competition. After years of service to Nintendo, Yokoi had to leave Nintendo. This was due to his creation of the Virtual Boy. It was a red and black virtual reality system with a tripod stand to support the VR glasses. The Virtual Boy, unfortunately, flopped and it spelled the end of Yokoi's career with Nintendo. He was not fired, but they demeaned him and made him go to trade shows to make him see what a failure the Virtual Boy had become for the company. Yokoi tendered his resignation to Nintendo in 1996 and set up Koto Laboratory. He then went on the design the Wonder Swan portable unit. Unfortunately Yokoi never saw the end product of the Wonder Swan. He died in 1997 following a car accident that occured on the Hokuriku Expressway. Immediately after the car accident, Yokoi got out of the car to assess the damage and was then struck by a passing car. Yokoi was sent to the hospital but sadly died only two hours later. What happened to Gumpei Yokoi was a tragedy, but he will live on forever in the legacy that he created. His inventions single handedly put Nintendo into the videogame industry, which in turn changed the course of the entire industry. His inventions were creative and insightful, this can be seen though the fact that the Game Boy is still around today in some incarnation or another. Gumpei Yokoi should be held in high regards for if it wasn't for him the video game industry may not be what it is today. Kelly, Piaras "Inside Nintendo: Gumpei Yokoi" GamersEurope. 12 Mar. 2004.